“Standing on the apex of our planet is humbling. I’m starved of oxygen, depleted of reserves, unable to eat, and bound by anxiety. This is a dangerous place. Yet the symbolism of standing on top of the world gives me a chance to experience time on a cosmic scale.”—Conrad Anker, climber and mountaineer. There are lots of factors that make a place dangerous. The World Risk Index identifies the main components that contribute to the riskiness of a location as: exposure to natural disasters, vulnerability in terms of infrastructure and living conditions, and coping capabilities such as stable governments and preparedness measures. 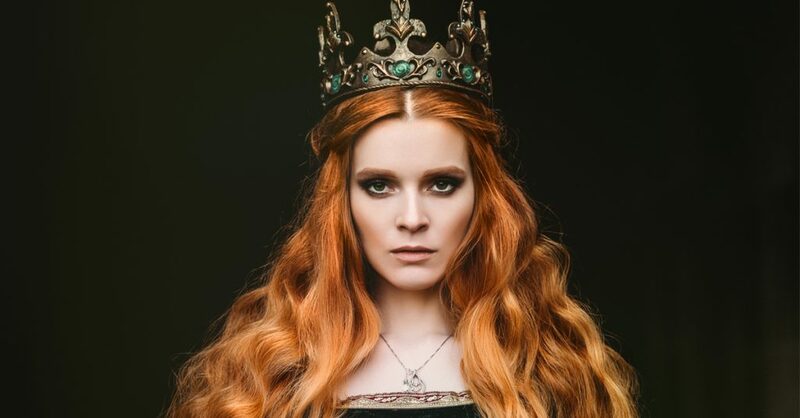 The danger factor of a place can also be due to the high occurrence of deadly plant and animal species, the presence of a tempting and dangerous feat for daredevils, or, in the most unfortunate cases, the high rate of violent crime. This list compiles the deadliest and most dangerous places that face these challenges. Feeling adventurous? 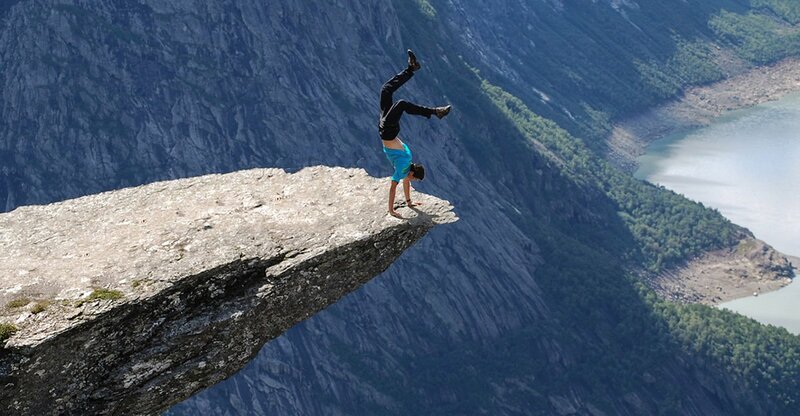 Here are 27 daring facts about the most dangerous places in the world. 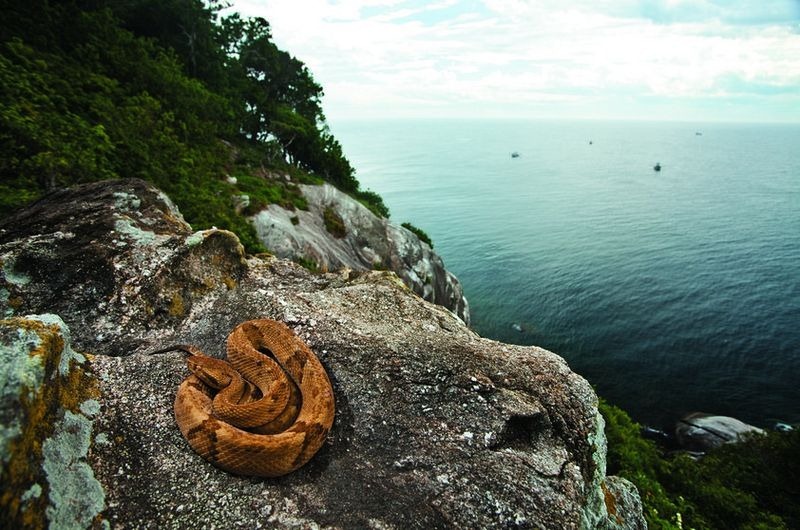 Ilha da Queimada Grande in Brazil is also known as Snake Island. This small island near the coast of San Paulo is prohibited to visitors due to the high population (one snake per square meter!) of the extremely venomous golden lancehead viper. Snake Island was cut off from the mainland when sea levels rose and is the only place where the viper lives. This pit snake has venom that helps to predigest the snake’s food by dissolving the flesh of its prey—thankfully they are all stuck on Snake Island! 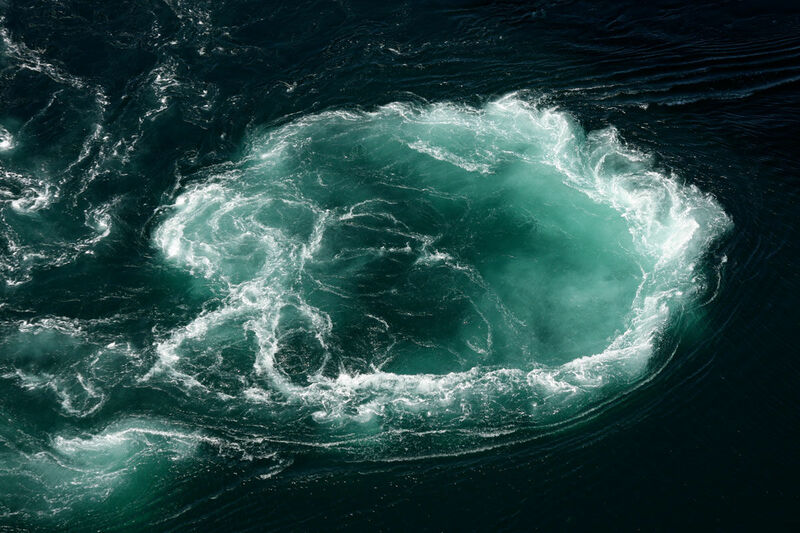 The worlds strongest whirlpool, also known as a maelstrom, is in Saltstraumen, southeast of the city of Bodø, Norway. It has been known as an extremely dangerous shipping route for centuries, and today thousands of tourists come to witness the event, which takes place 4 times a day at high tide. The whirlpool’s strength stems from the strength of the tide in this location, which is at its strongest during the new and full moon. 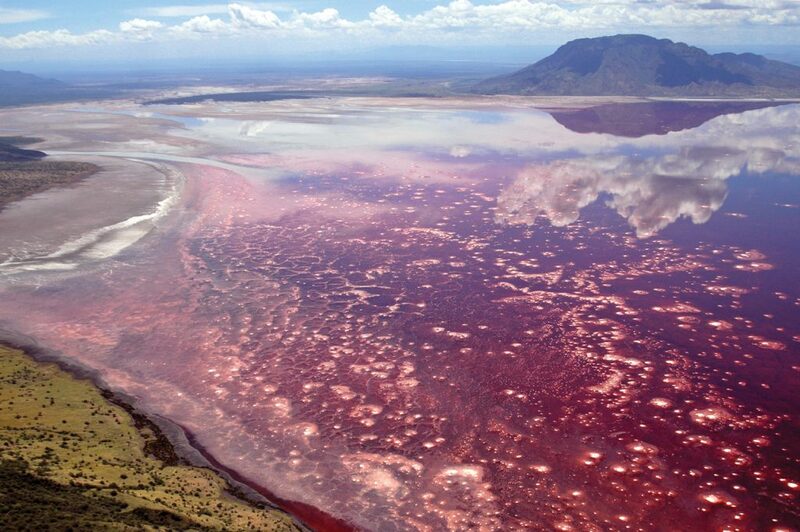 In Northern Tanzania, Lake Natron gets its name from high levels of natron (sodium carbonate decahydrate) which contributes to the lake’s characteristic caustic nature. 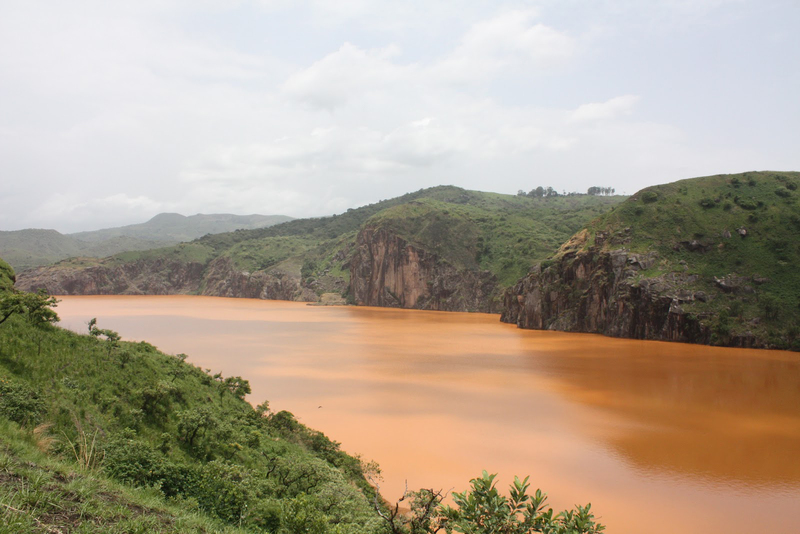 The lake can reach a ph level of greater than 12, a level high enough to damage skin and eyes but attracts red-hued bacteria that gives the lake its pinkish color. Although there are no human inhabitants in the area around the lake, the region is known for its unique biodiversity and is even the only regular home of the near-threatened species of flamingos, known as Lesser Flamingos. The beaches are beautiful but the wildlife on Fraser Island, which lies off the southeastern coast of Queensland, Australia, is a bit daunting. 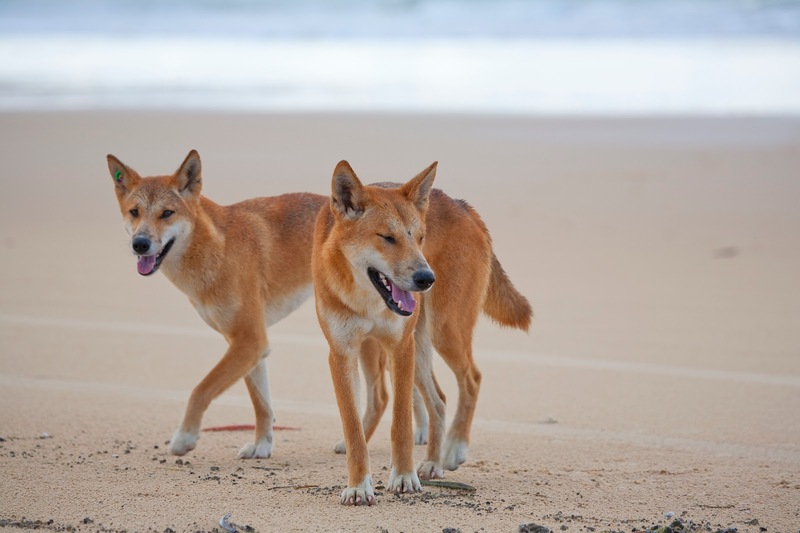 The island is home to some of the last pure dingoes, which are protected from cross-breeding through an island-wide dog ban. Although a protected species, malnourished dingoes have been known to attack tourists and children. The island is also home to several species of dangerous snakes, as well as crocodiles and sharks. 23. Would a Rose by Any Other Name Be As Dangerous? The aptly named Death Valley, which lies on the border of California and Nevada, is a desert valley in the Great Basin, known for scorching heat and deadly flash floods. 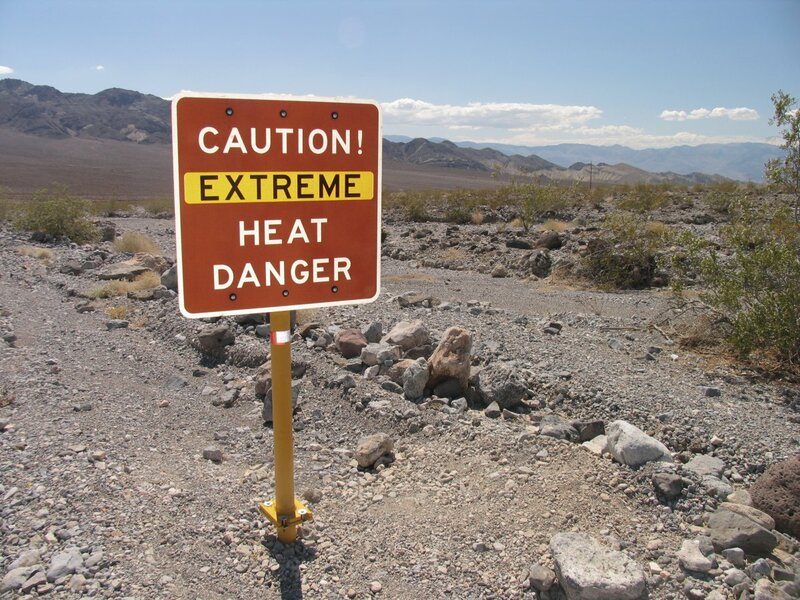 Temperatures in Death Valley can reach above 55°C and it holds the record for the hottest recorded temperature at 56.7 °C. The special geology of the deep valley—which contains the lowest point of elevation in North America, known as Badwater Basin—combined with the surrounding mountains, creates a convection oven-like effect, with air heating up as it circulates from valley to ridge. It was given the name Death Valley by prospectors during the California gold rush in 1839. At this time 13 settlers had died trying to cross the valley. Despite its dangerous conditions, the Timbisha tribe of Native Americans have inhabited the valley for at least one thousand years and some remain in the valley today. 22. 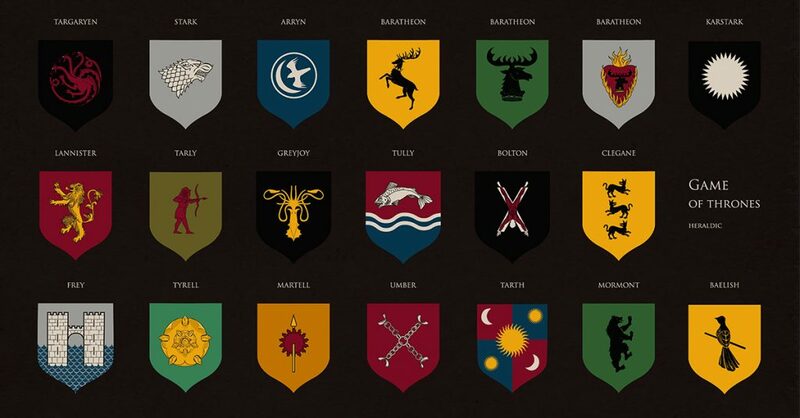 Did The Cast of Survivor Know? Located in the South Pacific Ocean near New Guinea, Solomon Islands and Figi is an archipelago of volcanic origins, Vanuatu. 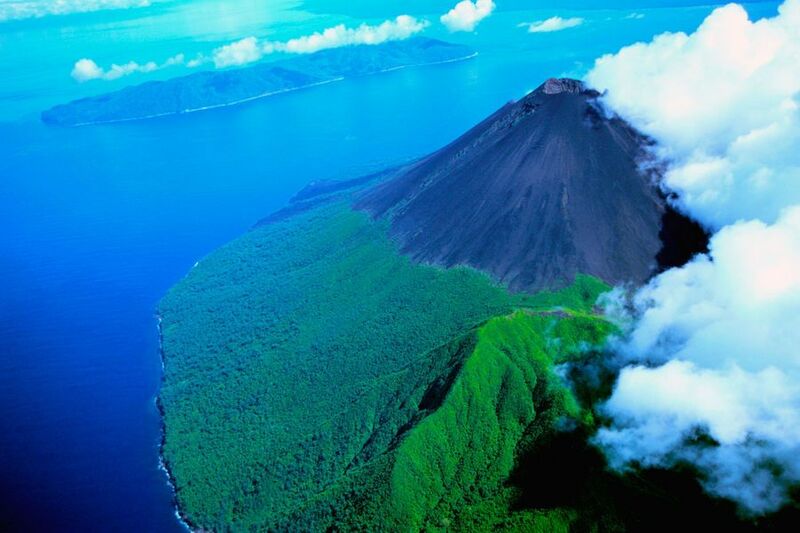 Inhabited by almost 300,000 people, the geography of the islands leaves them at a constant risk of volcanic eruptions, earthquakes, and cyclones and is considered to be one of the countries at the highest risk of natural disaster. Similar to Haiti, the Philippines lacks the stability and wealth to protect its populations against natural disasters, but 8 of the 10 most at risk cities in the world—and 21 out of the 100—lie within its borders. 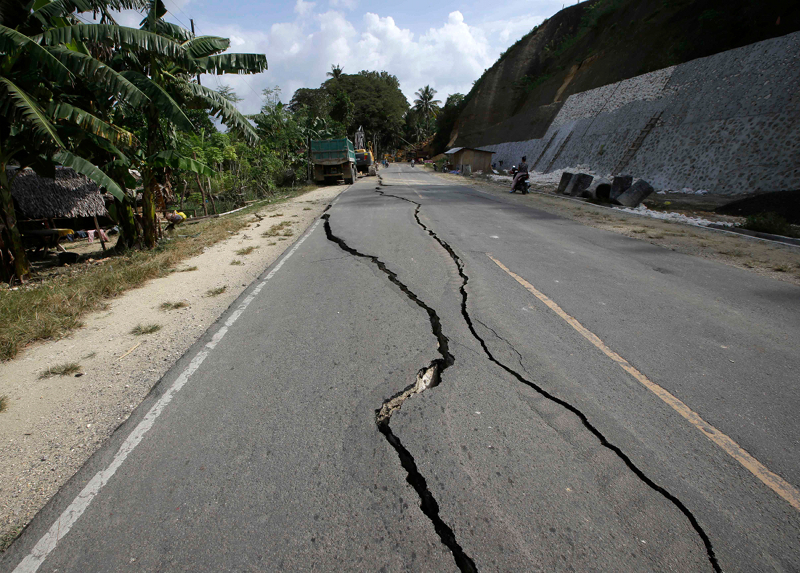 The Philippines faces a regular risk of earthquakes, typhoons, and landslides. 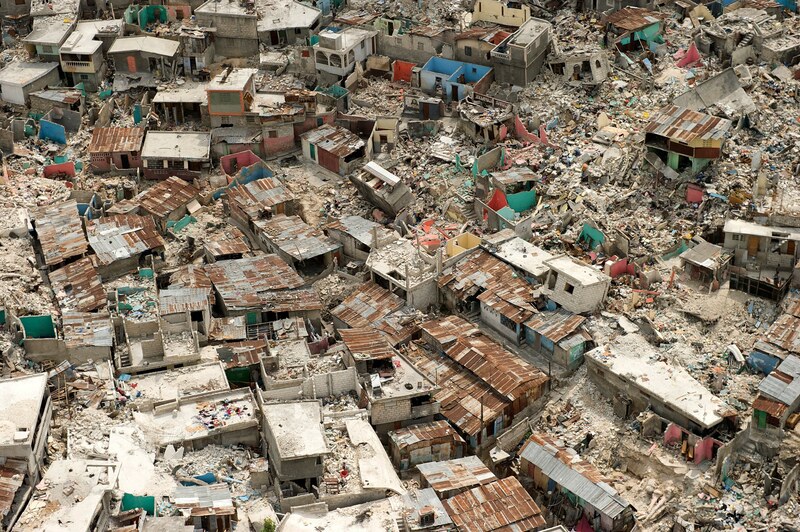 Haiti, one of the largest countries in the Caribbean, is plagued by regular hurricanes and experienced a devastating earthquake in 2010. These conditions, combined with the country’s instability, leave its population lacking defense against disasters, making it one of the world’s most dangerous places. 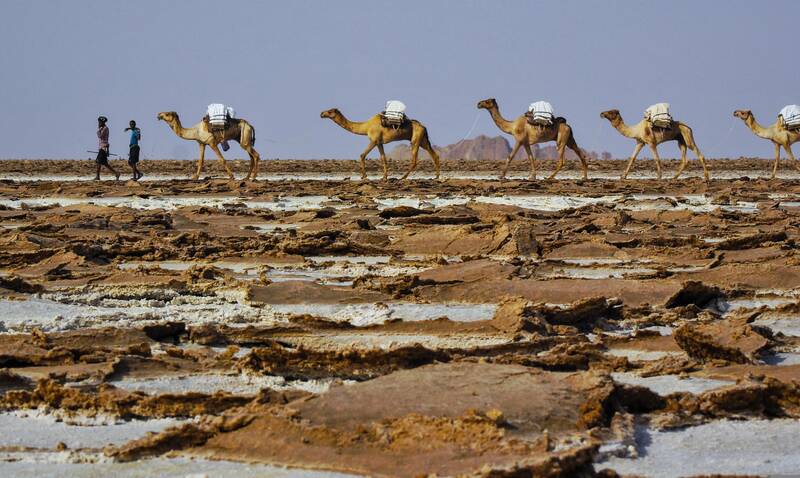 Spanning the borders of Ethiopia, Eritrea, and Djibouti, the Danakil Desert is another extremely hot place on earth. 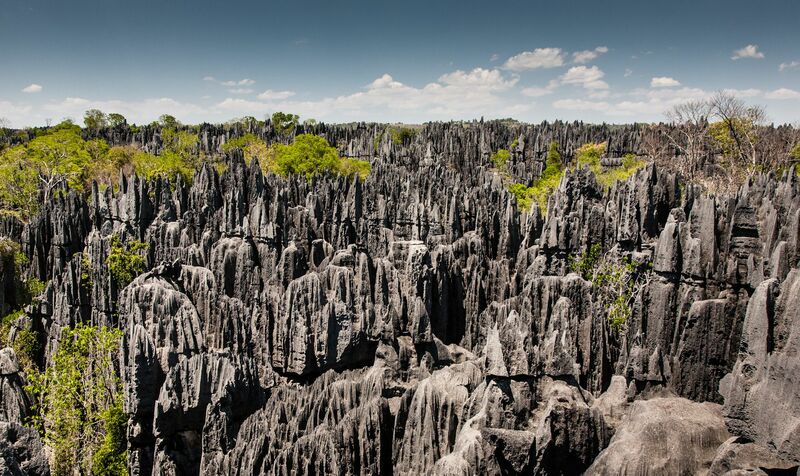 Average temperatures surpass 50 °C, there is little to no rainfall, and it is dotted with simmering volcanos. The Afar people mine salt in this region, painstakingly delivering salt by camel through the desert. Some of the most dangerous places in the world are inevitably volcanos, although they are often dormant for hundreds of years. 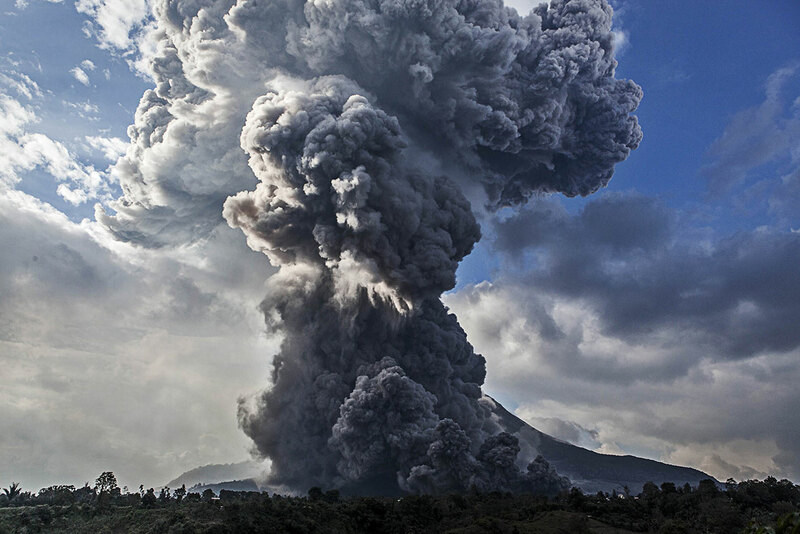 Mount Sinabung, a stratovolcano in North Sumatra, Indonesia, after 200 years dormant has, since 2010, either been erupting or in a state of threat, killed several people, and forced the evacuation of thousands. 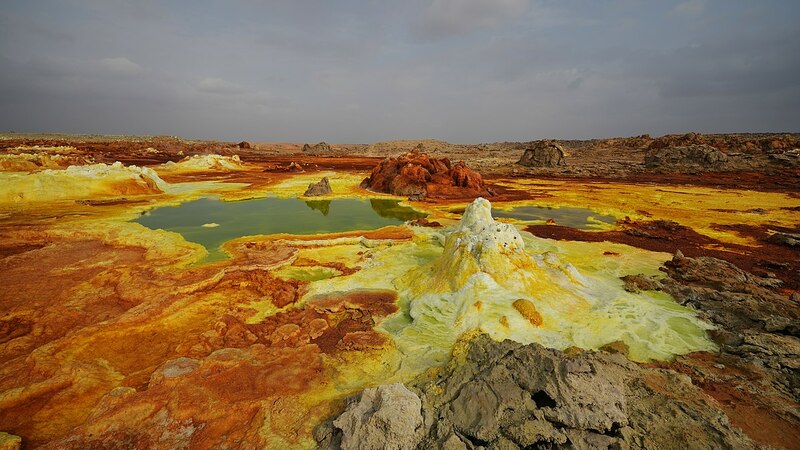 Located in Northern Ethiopia, Dallol is the hottest inhabited location on Earth, with average temperatures reaching 35°C. 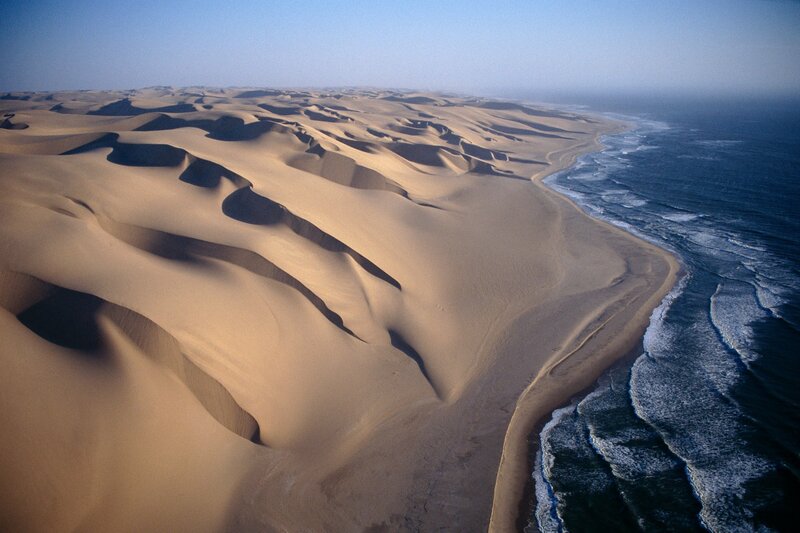 In the past the region has been mined for various substances but is now considered a ghost town; habitation is near impossible due to the heat, extremely salty and acidic water, as well as areas that emit toxic gases. 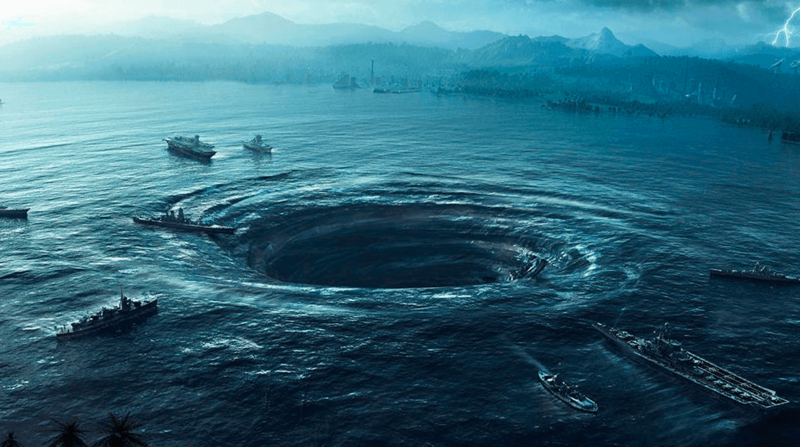 The area of the Atlantic Ocean that lies between Bermuda, Puerto Rico, Miami and San Juan is often referred to as the Bermuda Triangle, a name given to it in the mid-20th century after a number of strange boat and plane disappearances took place there. Several accounts from the period report boats disappearing and reappearing without their crews, and planes disappearing without a trace. 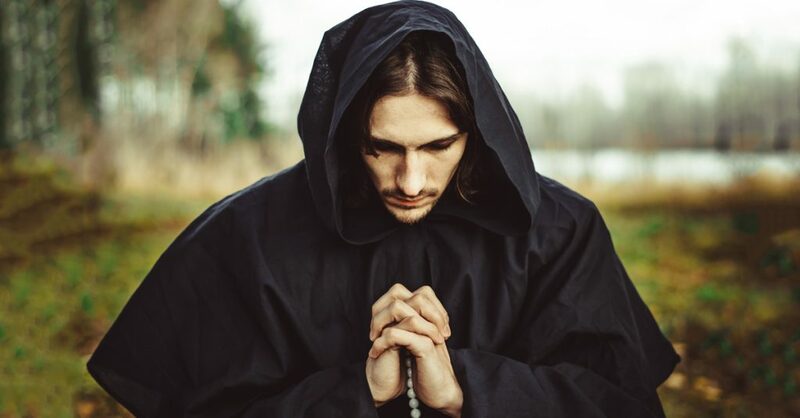 Most experts say there are rational explanations for the accidents and claim there is faulty research in the mysterious accounts, but rumors of paranormal activity or alien abductions still abound. 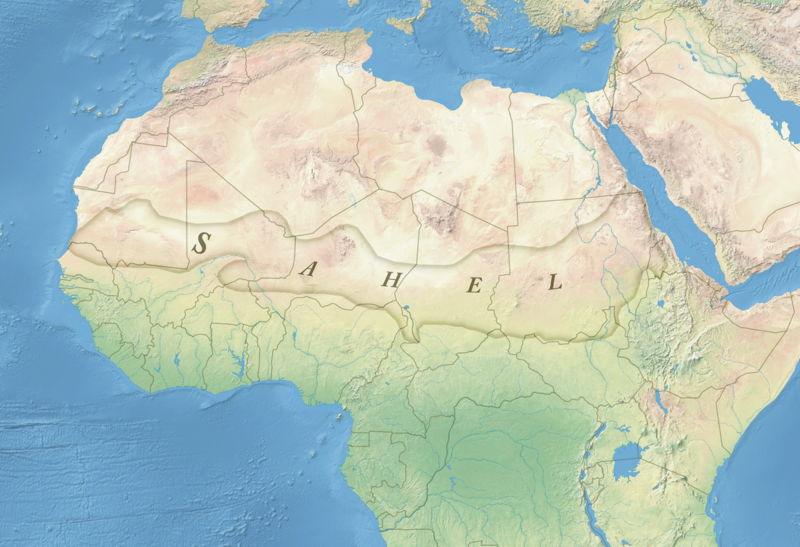 The Sahel region is a transitional area between the Sahara and the Sudanian Savanna that experiences constant and extreme heat. Droughts and megadrought are common since the area gets very little precipitation. The arid climate combined with over-use and over-population of the land has led to famine and dust storms in recent decades which has led to many deaths. 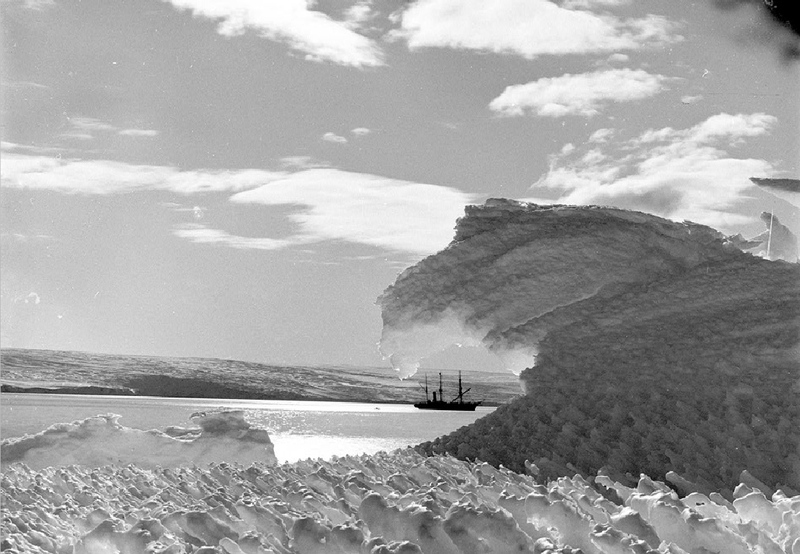 Cited as the “windiest place on Earth,” Cape Denison in Antarctica is known for its katabatic winds, which are fiercely dangerous and can reach over hurricane force. Probably due to this dangerous wind, the Cape is uninhabited. Monroe, LA, a small Midwest town, was surprisingly rated as the most dangerous city in the US in 2018. 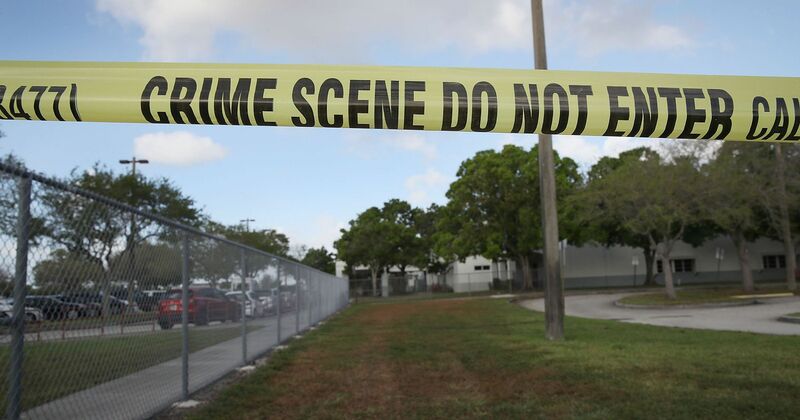 Monroe, which has less than 50,000 people, has a median income of just $28,681 and the highest crime rates in the country. Out of every 1,000 people living in Monroe, 125 will experience either a violent or property crime. 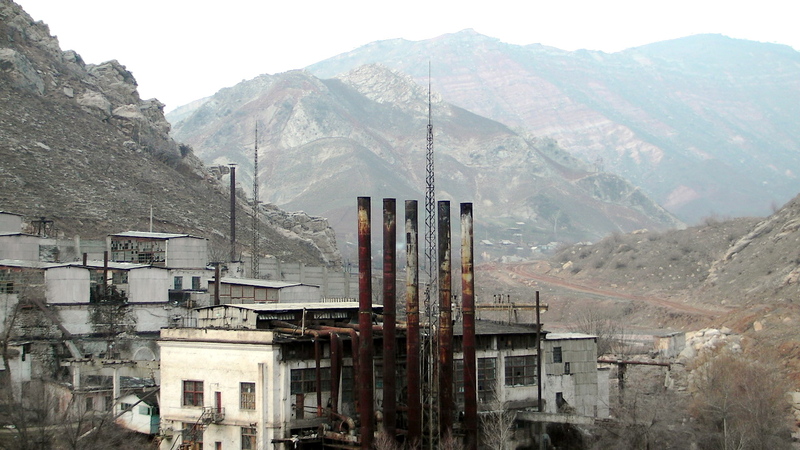 From 1946 to 1968 the USSR mined uranium ore in Mailu-Suu, a hillside town in Krygstan. After the closure of the program, 23 unstable tailing pits were abandoned to the risk of breaches, floods, and landslides. Since 1958 the area has been gravely exposed to radioactive waste and is known to be one of the world’s most polluted sites. The Fukushima prefecture lies south of Tokyo near the Pacific Ocean and was the location of the of the worst nuclear disasters in history. 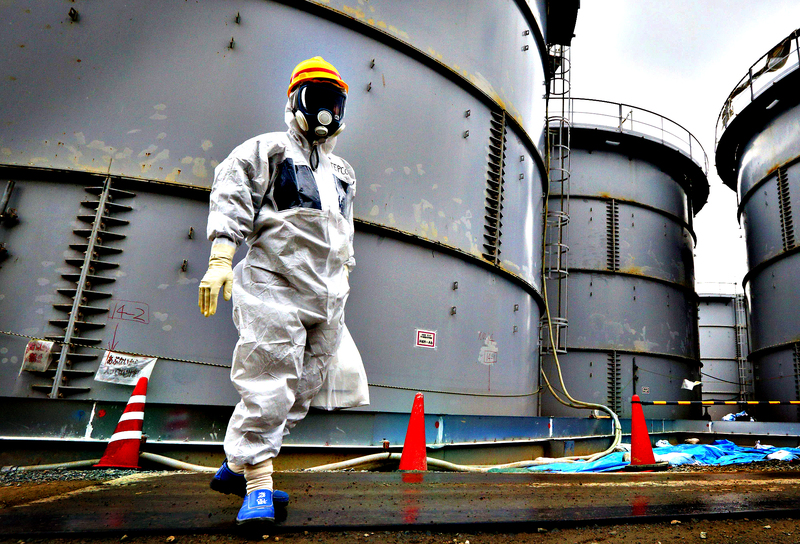 In March 2011, as a result of an earthquake and the tsunami that followed, there was an explosion and meltdown at the Fukushima Daiichi Nuclear Power Plant in Okuma. Radiation leakage in the area resulted in levels not seen since Chernobyl and still pose a risk of contaminated groundwater. Due to its proximity to a large volcanic area called I Campi Flegrei—the Phlegraean Fields—Naples, Italy also makes the list of most dangerous places in the world. 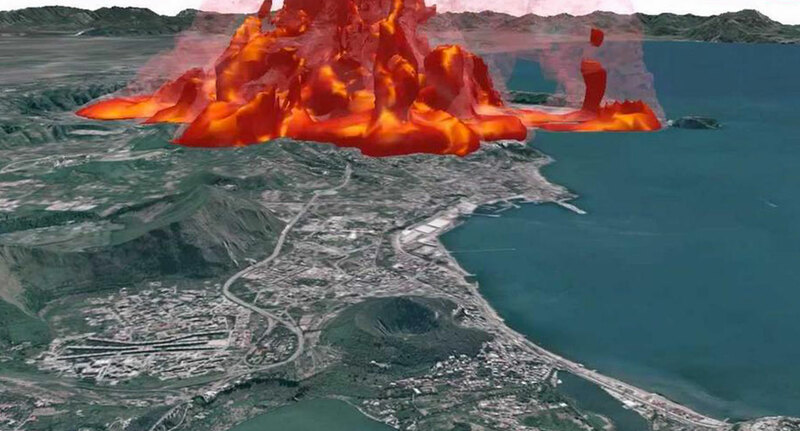 The mythological home of the Roman god of fire, Vulcan, the Campi Flegrei has not erupted since 1538 making the next eruption likely soon. In December 2016 and later in 2017 high levels of activity were recorded, and scientists argue over the best methods for delicately monitoring the site. What’s more, Naples is flanked on its other side by Mount Vesuvius—the volcano which destroyed Pompeii in 79 AD. 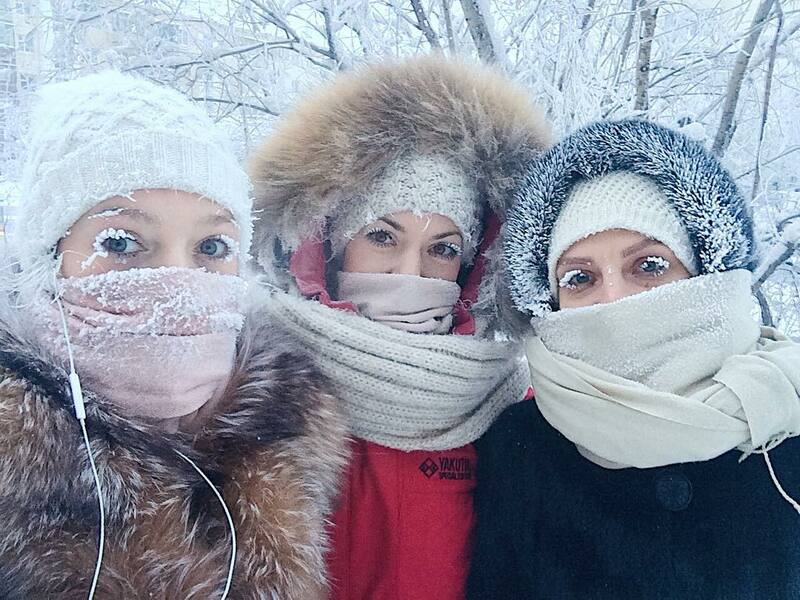 Known as the coldest town on earth, Oymyakon, a locality in the Sakha Republic in Russia has a recorded record low temperature of -67.7°C. It may seem like “snow day every day” for school kids in this town but in fact, children only get to stay home on days when it is colder than -55°C. Surprisingly, temperatures can still get hot in the summer, with the hottest on record at +34.6°C, making it one of only three places in the world where temperatures vary by over 100°C. 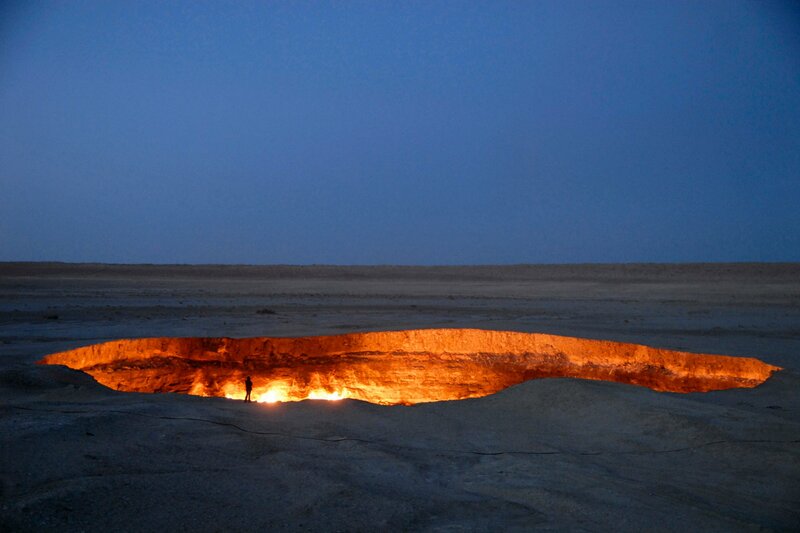 Known as the “Gates of Hell” or the “Door to Hell,” the Darvaza gas crater is a natural gas field located in an underground cavern. To prevent the spread of methane gas, geologists set it on fire and it has supposedly been burning since 1971. The giant flaming hole has attracted many tourists in the recent decade, who often camp in the surrounding area. The large rainforest city of Manaus is located directly on the coast of the Amazon river, in the middle of the Amazon rainforest in Brazil. 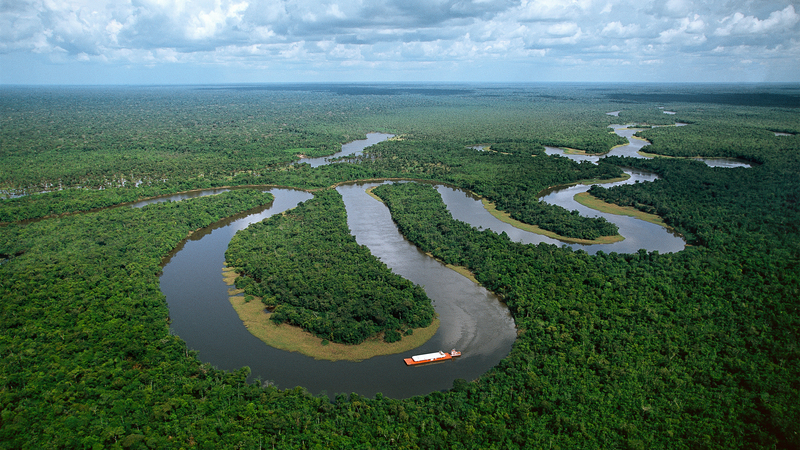 The isolated location, which is primarily accessed by boat or plane, provides protection for its large variety of flora and fauna, which includes dangerous Amazon dwellers such as anacondas, electric eels, sharks, and spiders. 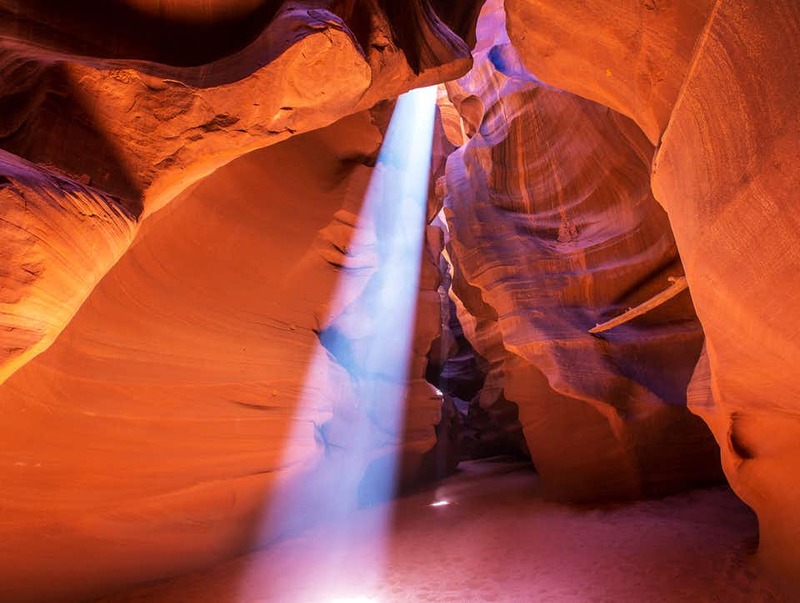 Antelope Canyon, located on Navajo land in Arizona, is a beautiful slot canyon formed by erosion due to flash flooding. The unusual and shapely rock formations are a draw for visitors, but all must access the canyon through a guided tour due to the danger of flash floods. The Navajo have historically called the upper canyon “the place where the water runs through the rocks” and floods have little to no warning since they can be caused by rain falling miles away. Bolted ladder systems were installed after a 1997 tragic incident saw the death of eleven tourists in a surprise flash flood. In 2010 several tourists were trapped by flood waters but luckily, no fatalities were reported. One of three known “exploding lakes,” Lake Nyos in Cameroon lies on one side of an inactive volcano and rests on a layer of magma. This magma leaks carbon dioxide in the water which causes it to convert to carbonic acid. Normally the carbon dioxide remains at the bottom of the lake and is stable but in rare events, such as an earthquake or landslide, the gas can be emitted in large and potentially dangerous quantities. Tragically this occurred in 1986, when, due to a “limnic eruption,” the lake released a huge cloud of carbon dioxide. The CO2 displaced the air in the surrounding valleys, pushing out the oxygen and suffocating 1,746 people and 3,500 livestock who lived within 25km of the lake. Degassing pipes have since prevented similar catastrophes however a weakening volcano wall poses a new threat of toxic flooding. Although there are risks, the land is known for its great fertility and the lake’s surviving inhabitants have returned. 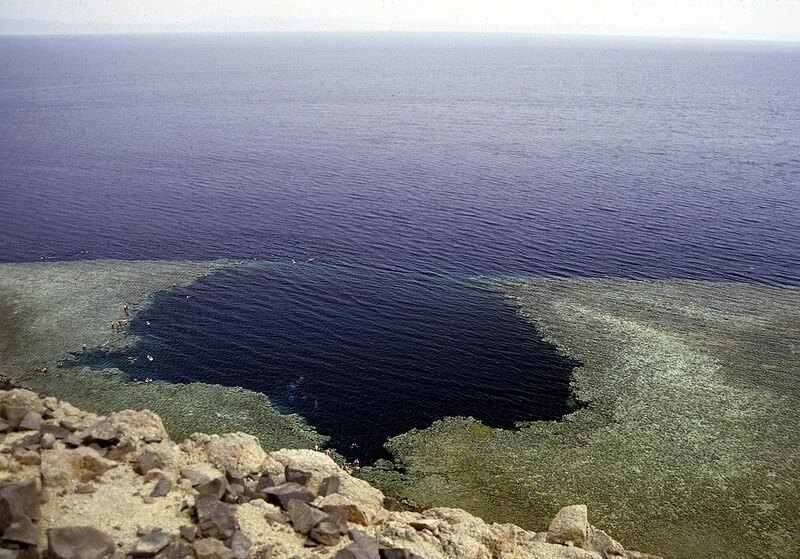 One of the biggest blue holes in the world, and possibly the most dangerous, the Blue Hole of Dahab is 120-metres deep and a tempting notch in the daredevil diver’s belt. Blue holes are sinkholes or marine caverns with an open surface that are usually quite deep and have access to submerged cave passages. Over 200 divers have likely perished here in recent years, although there is no official record. 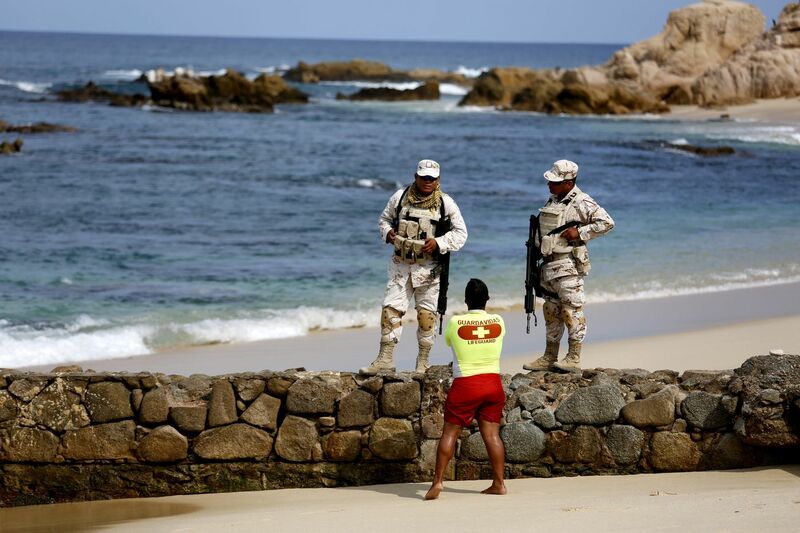 Once a popular resort spot, Los Cabos, Mexico has seen a drastic rise in drug violence in the past years culminating in December 2017 when police investigated the murders of six people whose bodies were hung from highway overpasses. Due to the recent violence, the beach town is currently considered the city with the highest murder rate in world.